We are unique individuals with different needs and different life experiences. Our pain reveals a history of traumatic events and life choices. Sessions begin with an intake to influence the focus of the session by understanding your personal needs, life goals, and what you wish to achieve with the healing session. 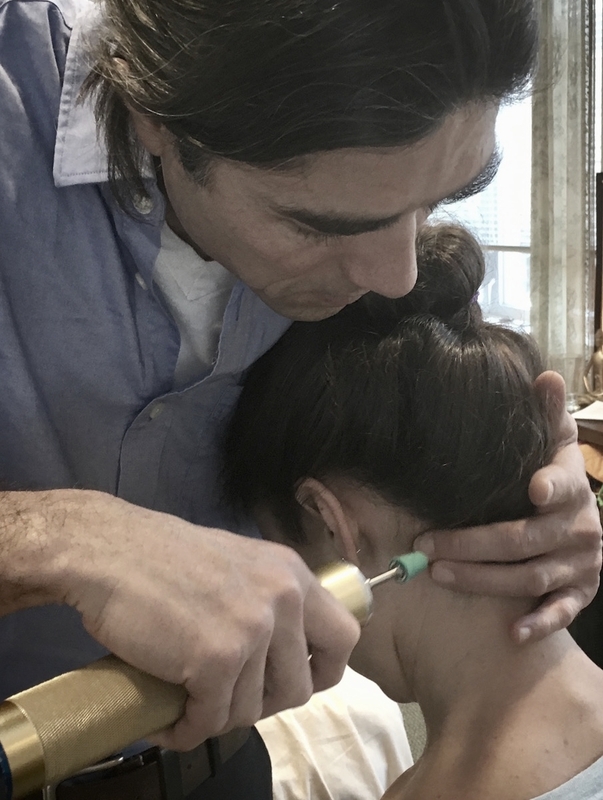 During the Atlas Activation, Michael uses a highly effective massage tool, invented to soften occipital muscles and deliver a specific frequency of vibration to open up the most chronically restricted muscles. 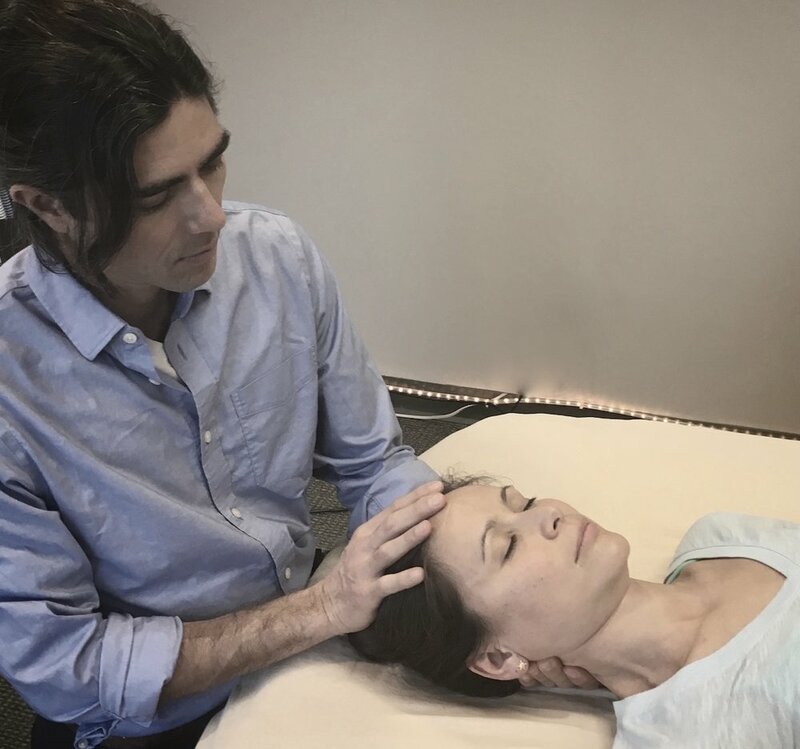 While you sit comfortably in a chair, fully clothed, Michael guides the Atlas Activation tool to address specific trigger points along the base of the skull, gently creating space between the head and neck. There is a moment of reorganization, as muscles give way to the steady vibration and can no longer hold the old pattern of compensation. There is no cracking or adjusting or high velocity movements. Once the relaxation of the specific muscles have occurred, a natural opening follows. The head, neck, hips and occipital joint immediately begin to find true balance and stability, as intended by nature. Through this tension release, the Atlas is aligned, the intelligence of the body is activated and balance is restored. After this ‘once in a lifetime’ shift occurs, Michael takes advantage of the opening to deepen the healing process by applying his talents in integrative body and energy work. Laying on the massage table, you will receive gentle massage, cranial sacral therapy, and energetic bodywork --- a customized attunement designed to maximize this new healing experience. Atlas Activation provides enhanced results when supported with further body, mind and spirit attunement. The Atlas Activation is a simple, non-invasive, non-medical solution to longstanding pain and discomfort. In its simplicity, it is creative and profound, elevating the individual to new levels of vitality and clarity. Primary Atlas Activation sessions occur in person, in my Nevada City, California office, or in various cities around the world where I travel to heal and train. Follow up energy work and coaching can take place via distance sessions by accessing the field. With your luminous light body present on my table, I will clear, balance and remove blockages in the body. I offer inspirational guidance and intuitive feedback to support further transformation.